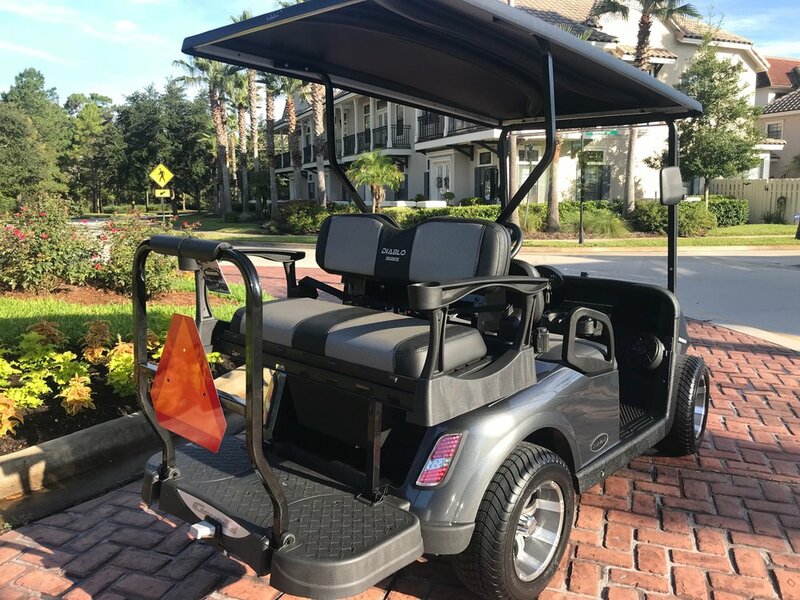 NasCarts is a golf cart sales and services company based in Jacksonville, Florida that provides custom accessories to enhance your gold cart style. You may choose from custom audio systems, custom seat styles, rear view mirror options. You may choose upgrades ranging from custom audio system installation, custom seat styles, to various rear view mirror options. NasCarts provides purchasing options, starting from a base model to the most customized cart we offer. Our golf carts are great for transportation from the driving range to the 18th hole of your favorite golf course. 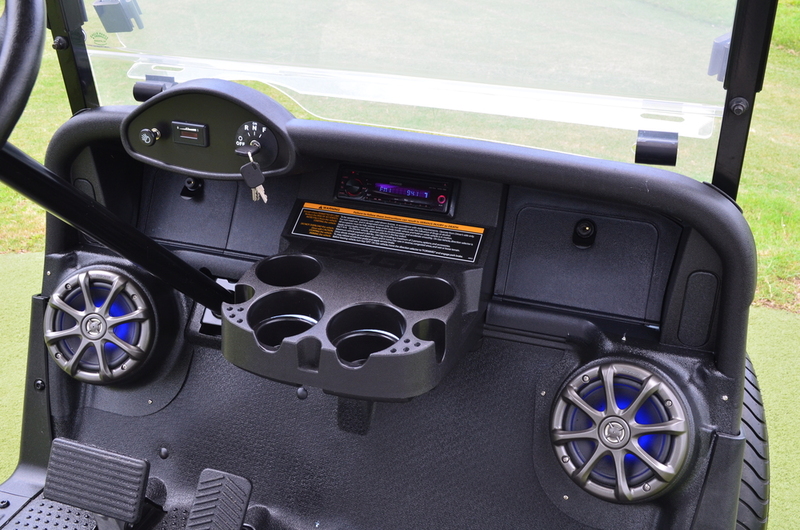 Rock out in your golf cart with a newly installed golf cart audio system. We can install CD/audio/AM/FM radio system to add that extra entertainment to your golf cart. Stylize your passenger and rear view seating with our available seating options. We can upgrade your cart seating. Contact us for seating options. Need additional seating for your golf cart? Our available rear seating upgrade options can provide the necessary seating for your golf cart needs. Here at NasCarts, we now offer the service of making your golf cart street legal. Making your golf cart street legal gives you more flexibility when driving from one location to the nextwithin your community. Safety is another very important consideration when deciding onstreet legal status. We will take care of everything when installing these items to your golf cart. We will install the necessary items to your vehicle in order to give your golf cart street legal privileges. Installing required items such as turning signals, brake lights and rear view yield signs. We will make sure that your golf cart has meet and exceeded the requirements for street legal status. We pride ourselves in each and every step of installation. Please call us at (904) 429-7861 orcontact us to receive a street legal quote on your new or existing golf cart.